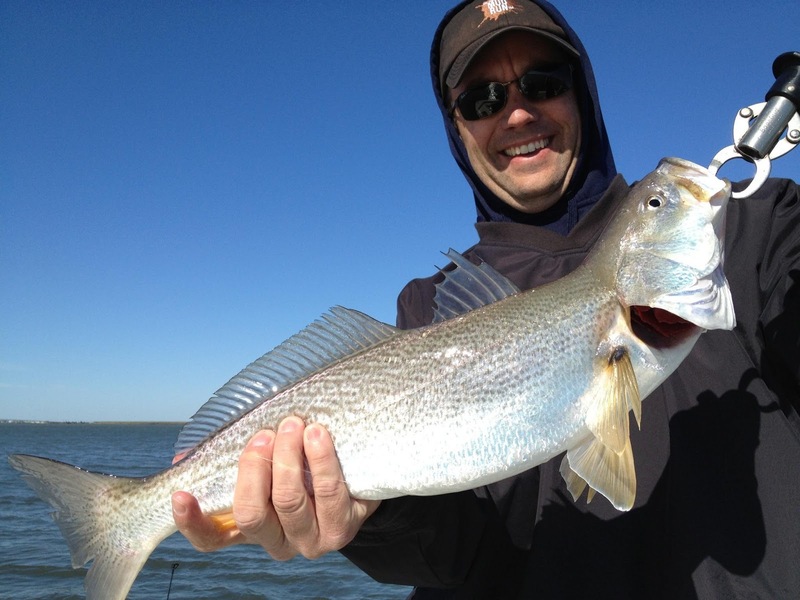 Lets stay thanks to all the veterans out there that have fought for the right to be free….. Just got the picture in of Mike with a big weakfish gust over 8 pounds. They also had some weakfish in the 5 pound rang with nice blues and some throw back flounder the bay is still hot and with the winds calming things are looking good for the back bay. The striper’s keep coming!!! Check out Pat with this nice fish taken off the beach on SALTED calms.. Its going to be warming up over the next coupe of days and fishing should improve along with the whether. It was blowing a gale yesterday but who cares the stripers where biting… check out Brian Gursky with this nice 14.3 pounder 35 inches long. The bite is still going on so take advantage of the nicer whether coming in the next couple of days and go get yours..